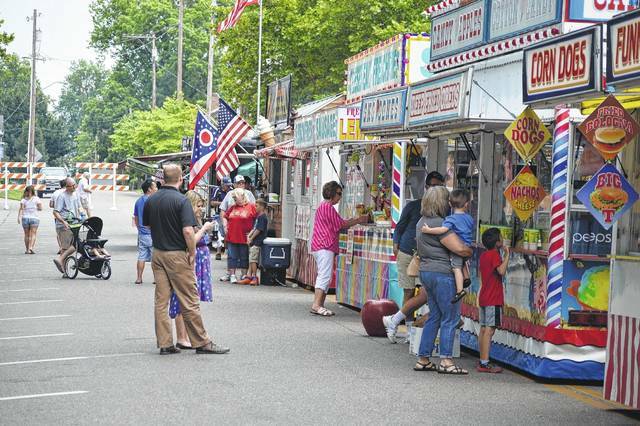 Each year the River Recreation Festival brings in the fried foods and other delicious items, a staple for the Fourth of July Celebration. From 6-10 p.m. there will be Contemporary Christian Music artists performing on stage, although final details are still being firmed up. In the park at 7:30p.m. the Ariel Opera House will be presenting Tuba Time. On Wednesday July 4, the Baby Tot Sparkler Contest will kick of the day at 9 a.m. with registration opening at 7:45 a.m. Concessions and inflatables will open at 10 a.m.. The fireworks will start at 10 p.m. with local artist Paul “Bub” Williams performing immediately afterward.